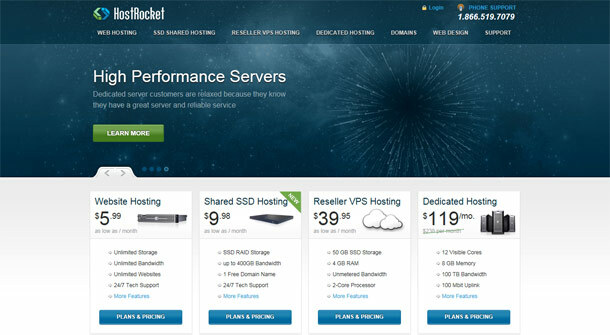 HostRocket is a web hosting service that offers SSD shared hosting, VPS hosting and domain services as well as web design and support. They host both personal and business websites with features such as cPanel control panel, unlimited storage space, unlimited bandwidth and unlimited domains. According to their website, customers can choose from four different plans, depending on their preferences. There is a monthly plan for $11.98 per month, a semi-annual plan for $8.99 per month, and an annual plan for $7.99 per month. There is also a biennial plan for $5.99 per month. Each of the plans offers unlimited disk space, unlimited websites and email accounts, as well as 24/7 tech support. 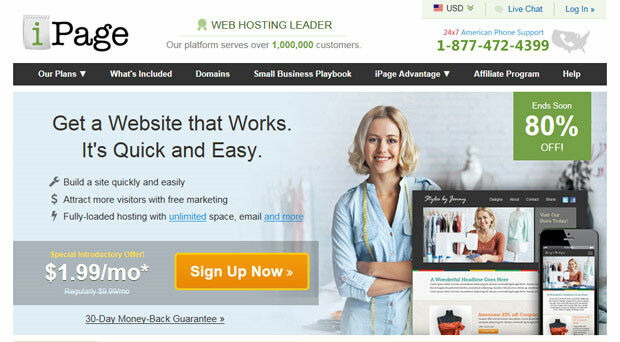 In the ten years that HostRocket has been in existence, it has garnered a reputation as a well-respected web hosting service. However, according to a recent HostRocket review by Top 10 Reviews, many people consider their pricing to be less competitive than other web hosting services. This review also cited concerns with the HostRocket customer service, which many feel has a slow response time. However, HostRocket does offer a great library of apps that customers can install relatively quickly and easily. They also charge a fee for domain registration, even if a customer purchases one of the hosting packages. They do not offer international domains, and customers should be aware that the low monthly rate is only available when you pay for the service up front. SSL must be purchased and installed separately, since it is not included in the domain hosting packages. Customers must have a dedicated IP to obtain an SSL certificate, which can cost an additional fee, along with fees for remote backup and domain registration service. HostRocket does not offer live chat support yet, which is seen as a particular disadvantage for international customers in different time zones who may need technical help, but customers can still receive immediate help over the phone 24/7. HostRocket does have a small customer base, and the company runs its own data center, so receiving service when they call is generally unproblematic, as reported by many clients. Another recent HostRocket review by Who Is Hosting This noted that there are no free domain names offered by the service provider, but they do offer customers more than 250 auto-install scripts with Joomla, Mambo, Drupal and WordPress, among others. They also offer a 30-day money-back guarantee of the hosting fees, although setup fees are not included in this guarantee. Many customers report that their website is easy to use and navigate, and that the range of services they provide is quite adequate for most small business customer’s needs. It has also been recommended that, to get the best price deal, customers should sign up for one of the long-term shared hosting plans, however, this may not be desirable for customers who want to try out a plan before they buy it. How Much Money Can I Save With Web Hosting Coupon Codes? by Pia Langues Comments Off on How Much Money Can I Save With Web Hosting Coupon Codes? One of the best ways to reward customer loyalty is through coupon codes, also known as promo codes. In the real world, a coupon code comes in the form of a piece of paper with a code printed on it. On the Internet, however, coupons come in the form of promotional codes, unique codes consisting of both numbers and letters identifying the coupon. These codes are becoming more and more popular in the website hosting industry. Consumers can now get huge discounts off web hosting plans, SSL certificates and domain registration among other things when they redeem a valid promo code. The question you may be asking right now is — how much money can I save with web hosting coupon codes? The answer may surprise you. Read on to find out. A simple online search can reveal dozens of promo codes offered by popular website hosting companies. All you need to do is copy the code and use it when checking out. For instance, when signing for an Economy shared hosting plan from GoDaddy Hosting, which costs $59.88 annually, you can claim a coupon code during check out to get a discount off the quoted price. Please note that you can only use a coupon code from a given company to claim a discount on their products and services. You cannot redeem a coupon from GoDaddy on HostGator or vice versa. To get these huge discounts, all you need to do is choose a website hosting service and proceed to check out. When asked if you have a coupon code, simply paste the promo code in the space provided and press enter. The quoted price will automatically be reduced according to the specifications of the coupon code. There is no doubt that a promo code can help you save on website hosting. However, while reputable companies may use these codes as a way of rewarding customer loyalty and promoting their products, others use it to trick clients into accepting packages that are detrimental to their financial health. For instance, you may find a coupon code offering up to 95% off hosting plans for one year, but the monthly or annual subscription fee for the second and subsequent years may be exorbitant. The cost of renewing the domain name for subsequent years may also be too high. While the client can always migrate to another hosting service, the migration fees may be prohibitive. These are some of the reasons why consumers are always advised to carefully assess and compare the features as well as the actual costs of website hosting packages before committing themselves. The promo code should only be an icing on the cake and not the main determining factor. Since a hosting company may offer several promo codes, consumers are advised to find and use promo codes that will give them the biggest discounts. This may require some research on reputable consumer websites and review sites. Before using a promo code, make sure it is still valid to avoid wasting your time or missing out on an offer. There are a lot of relative newcomers to the hosting industry. Many of these providers are working hard to provide fast, reliable services, comprehensive plan features and competitive prices, which make them well-worth trying out. If you’re looking for a safe and effective way to cut your hosting costs, you may be thinking of trying Dotster web hosting. Best known as a registrar for domain names, Dotster also provides an affordable range of hosting solutions along with a variety of impressive site building tools. 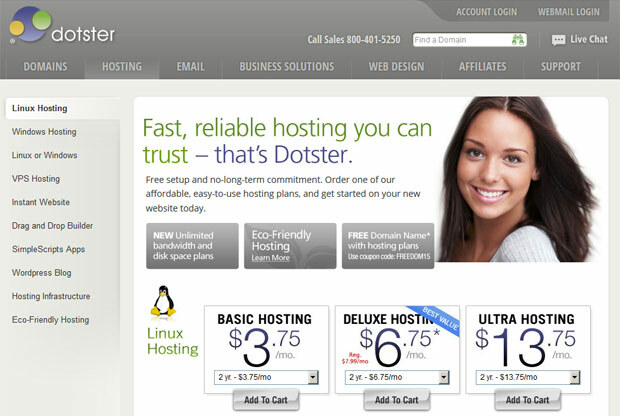 Dotster provides a simplified business hosting plan that is priced significantly lower than those of its competitors. It is important to note, however, that this plan does not come with many of the proverbial bells and whistles that site owners are likely to get with other providers. The business package comes with a VPS server and a domain registration. All Dotster VPS plans include full root access, 24/7 support, adequate speeds and stability. The business plan is best for micro and small businesses that are seeking the speed and functionality of a dedicated server, but at a much more nominal price. Although the business hosting plan that Dotster provides is a bare bones package, there are other services and solutions that companies can add on in order to get a more comprehensive array of features. These include email marketing, local site promotion and SEO marketing. With a separate charge for each, however, the best value is received by subscribers who only need a basic service with limited perks. Dotster web hosting services are managed by a certified network of engineers. Dotster data centers feature a dual independent power grid, HVAC, fully redundant power and fire threat suppression and detection. The data center also has camera and video monitoring and around-the-clock, locked access. Dotster has reliable storage, regular data back-up and full network redundancy. The Dotster infrastructure additionally includes the best-in-class server, firewall equipment and router. Dotster may be right for you if you have very basic hosting service needs and a tightly controlled budget. These services lack the transfer support and other high-end features that are commonly offered by other providers in its class. For a relatively small sum of money, you’ll get what you need and the company promises to provide 99.9% uptime and optimal customer support. For those who lack technical skills sufficient for building their own websites, there are also a number of comprehensive tools that can be accessed for additional fees. These include the Drag and Drop Builder, SimpleScripts Apps and the Instant Website Builder. For those needing a more comprehensive array of services and a greater level of support for site transfers and other start-up issues, however, Dotster may not provide the best overall value. The additional costs of adding individual features in to create a more comprehensive service plan could drive a subscriber’s overall hosting costs up significantly. Moreover, customers do have some complaints about response times to service inquiries and have stated that many aspects of the support system are automated and generate standard, pre-written replies that do not always solve problems. Dotster is a great hosting service for tech-savvy professionals who want to save cash and need a modest and simple hosting solution for their businesses. For those who are building their sites from the ground up for the first time and have limited experience with hosting services and plans, this company may not be ideal. It could be more costly to add on to a basic Dotster plan than to simply purchase a more comprehensive plan from a larger provider. iPage is a website hosting company, which specializes in shared hosting. The company offers various bonuses and freebies upon registration, to attract new customers. iPage has been in operation since 1998 and manages 1.5 million domains, with more than one million sites hosted at its’ data facilities. Initially, iPage is a US company, however it now serves overseas customers from 150 different countries. According to its’ website, iPage has six offices worldwide, however the location of these offices is not made clear. iPage uses a fairly straightforward pricing structure. The company doesn’t offer tiers of shared hosting plans. Instead, it provides a basic hosting plan with unrestricted network bandwidth, disk space, databases and domains for all customers. Better still, iPage provides VPS (Virtual Private Server) and dedicated hosting packages, for customers who require a more comprehensive business hosting solution. Monthly shared hosting plans are not offered with iPage. Customers can register for a twelve month, twenty-four month or thirty-six month period, and the rates for the latter two options work out at just $1.68 monthly. Bear in mind however, that this lower rate for longer terms is only an introductory price. Renewals are charged at the standard price, which is $10.99 monthly for twelve months, $9.99 monthly for twenty-four months, and $8.99 monthly for thirty-six months. Therefore, the price increases more than fourfold, once customers renew their contracts. The Essential plan from iPage provides unrestricted network bandwidth, disk space, email addresses, MySQL databases and domains. Three different website builder tools are offered, along with an inbuilt online store, Mojo Marketplace access (to obtain more applications from third parties), cloud storage account access (free of charge), and numerous marketing and promotional tools. These features are offered with an anytime refund guarantee. In contrast to many website hosting companies, which provide fifteen to thirty day refund guarantee periods, iPage gives customers the rest of their unused fees back once they cancel. iPage manages all the websites of its’ customers in two data facilities, situated in Boston, Massachusetts. Within these two facilities, which use N+1 DC and AC power, approximately 800 Dell servers are installed. Round the clock security is in place too. Furthermore, both data centers are designed with the same infrastructure. 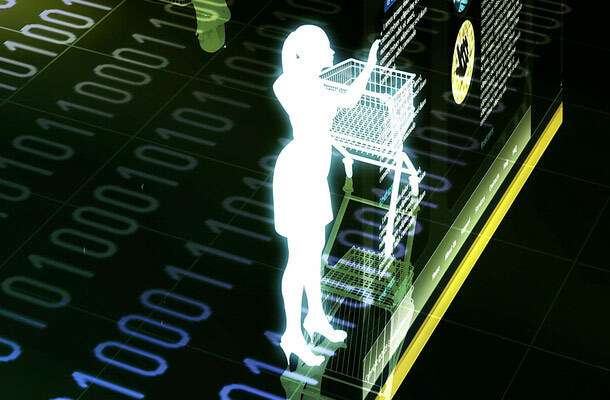 This enables customer data to be mirrored over clustered servers, which is a proven way of reducing downtime. Also, the company invests in diesel generators and UPS backup systems. iPage has not published any details about uptime, so nothing is guaranteed in this respect. On the servers, back up is carried out using NetApp Snapshot. Most businesses prefer to have an email address linked to their website domain, rather than a Yahoo or Gmail account, because it makes them look more professional. Although many hosting companies limit the quantity of accounts customers can set up, iPage imposes no such limits. It is easy for customers to set up email accounts. All they have to do is visit the Control Panel and click on ‘MailCentral’, and then generate the password and account. Only one account can be set up at a time though, which is time consuming. iPage has anti malware software incorporated into its’ platform, however there is no way of seeing the rules or adjusting the settings. The iPage support team is based entirely in North America. The company claims that customer calls are usually answered within sixty seconds, round the clock. Free basic support is included with all hosting plans. Alternatively, customers can pay extra for Premium support, which ensures a quicker resolution to any hosting issues that might arise.